The IRS is always on the hunt for easy deductions to disallow, and vehicle expenses are a perennial favorite of auditors. Keeping track of business miles is also one of the least favorite of tasks of many of our clients. If your clients are audited by the IRS, they will need to produce mileage records. At a minimum, the auditor will be looking for documentation of the mileage, purpose and the date of each trip. Will their mileage records pass scrutiny? For decades, the standard for tracking mileage has been a paper log with documentation of odometer readings, dates and descriptions of each trip, but few people take the time and effort to record every single trip. Some IRS auditors allow taxpayers to reconstruct their mileage records from appointment calendars. However, relying on this back-up method can mean missing out on deductions for trips to the post office, office supply or last-minute trips to meet with a customer that weren’t recorded in their calendar. And, your client may land an auditor who won’t allow retroactive reconstruction of mileage records. An easier way to document their mileage is with a smartphone app. Using the phone’s built-in GPS system, these apps record the date, location and mileage. All the client needs to do is categorize the drive as business, medical, charity-related, commuting or personal. This method is accepted by the IRS. Cost – Most have a free, but limited version. The free version might be adequate if your clients don’t drive much for business, or if they’re only tracking charitable or medical miles. Ease of use – Generally these apps detect when a drive starts and ends, and allow the user to label favorite locations as “home” or “work.” They have some mechanism for classifying drives as business, medical, charitable or personal. For QuickBooks® users, choosing an app that directly interfaces with their accounting records is a big plus. Impact on the phone’s battery – Using a phone’s GPS can be a big drain on the battery, so most have some mechanism to limit that use. Easy integration with QuickBooks — Over in the Intuit® App Store, you’ll find a number of apps that integrate directly with QuickBooks; just search for “mileage.” For clients who file Scheduled C without any W-2 employees, QuickBooks Self-Employed may be an option; it has a built-in app to record mileage. These apps all work in the background, so after installation and initial setup, all your clients need to do is periodically classify the recorded drives … and you’ll hear no more excuses for incomplete or nonexistent mileage records! 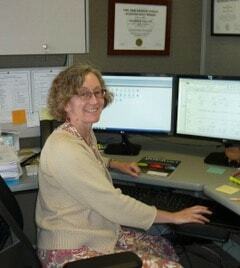 Liz has worked in tax and accounting since 2002. Besides focusing on tax returns of all flavors, she’s worked on audits of governmental entities and not-for-profits, business valuations, and litigation support. Liz is also a freelance writer specializing in content marketing for accountants and bookkeepers around the world.